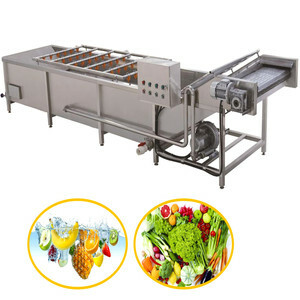 This machine is suitable for circle shape and oval vegetable. The whole machine is made of stainless steel. Machine is easy to clean and labor saving. 2) If we are online, please contact us directly and make a very smoothly transaction . We can give you a reasonable price. We can give you a good after-sell service. 3. A perfect processing device in the assemble line for roasting peanuts. And we have a very professional sales team which can offer you the most professional service. We have our own after sales service team in office, so that we can solve all the problem you met in time. 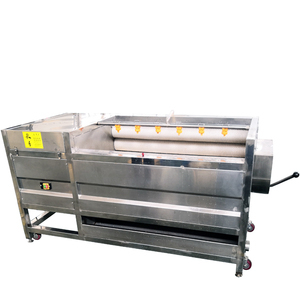 sweet potato/ onion/walnut/ carrot washing machine cleaning machine Introduction of sweet potato/ onion/walnut/ carrot washing machine : 1,Brush cleaning and peeling machine mainly consists of motor, transmission, 9 hair sticks, etc. such as ginger, carrot, potato, potato, sweet potato, kiwi. It is suitable for cleaning various of vegetables and fruit. So we provide and stock parts for all our customers for 10 years after the sale. If there is stock, could ship out within 2 days after received payment. Q: Could you provide us machine photo, specification, catalogue, ads material for promotion use in our local market9 A: Yes. 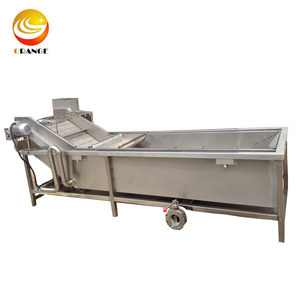 Carrot brush washing machine for potato Fruit Brusher: Applicable for brushing and cleaning fruit peels(peachs,apples,pears etc. After years of accumulation, Triowin owns 271 patents of various kinds, and has undertaken a number of major equipment projects sponsored by government entities. The strong technology and rich experience enable us to provide customized solutions for customers accurately. 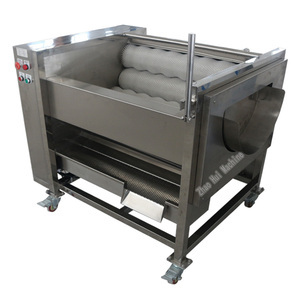 2. what is the advantage of this drum washer9 A. 3. what is the spare part of this drum washer9 A. We specialize in handling tropical fruits turnkey project. Alibaba.com offers 7,663 carrot washing machine products. About 1% of these are washing machines. A wide variety of carrot washing machine options are available to you, such as ce, csa, and rohs. You can also choose from all-in-one washer / dryer, washer. As well as from free samples. There are 7,645 carrot washing machine suppliers, mainly located in Asia. The top supplying countries are China (Mainland), India, and Vietnam, which supply 99%, 1%, and 1% of carrot washing machine respectively. Carrot washing machine products are most popular in Africa, North America, and Southeast Asia. You can ensure product safety by selecting from certified suppliers, including 1,262 with Other, 1,163 with ISO9001, and 215 with ISO14001 certification.